AirPods, Beats, and other headphones, as well as smart speakers like the Sonos One, make for great holiday gifts at reasonable prices. Black Friday presents an opportunity for additional savings on a variety of these products. Micro Center is offering $10 off AirPods through Sunday, bringing their price down to $149.99 compared to Apple's regular price of $159. In-store only. Newegg is offering $25 off AirPods with promo code BFAD155, bringing their price down to $139.99, although they are currently sold out. That's $19 off compared to Apple's regular price of $159. 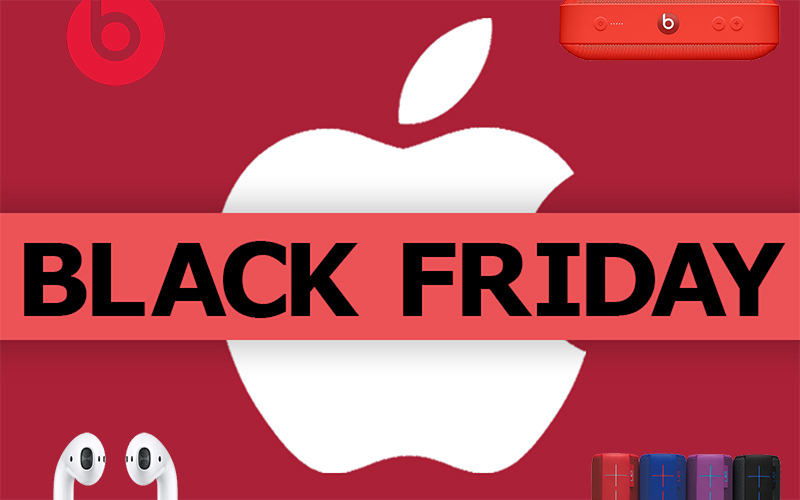 Apple is offering a $50 Apple Store gift card with the purchase of Beats Solo3, Studio3, or Powerbeats3 headphones on Black Friday through Cyber Monday. The offer is available on Apple.com, by phone at 1-800-MY-APPLE, and at Apple Stores in the US. Gift card values vary in other participating countries. Walmart has BeatsX for $75, which is $45 off Apple's regular price of $119.95. Best Buy has Powerbeats3 for $99.99, which is $100 off Apple's regular price of $199.95. Target has Beats Solo3 in the Neighborhood Collection for $179.99, which is $120 off Apple's former price of $299.95. Walmart subsidiary Jet has Bose QuietComfort 35 II wireless headphones for $299, down from $349 regularly. Best Buy has the HomePod for $249.99, which is $100 off Apple's regular $349. This is the best deal we've ever seen on the HomePod. Walmart has the Google Home Mini for $25, down from $49.99 regularly. Sonos One is $174 at Best Buy, Sonos.com, and Micro Center stores, which is $25 off its regular price of $199. Best Buy has the Ultimate Ears MEGABOOM speaker for $99.99, which is $150 off its regular $249.99 price. Amazon, Target, and Best Buy have the Ultimate Ears Wonderboom speaker for $49.99 in select colors, which is $50 off its regular price of $99.99. Kohl's and Target have the Ultimate Ears Boom 2 speaker for $99, down from $179.99 regularly. Meijer has the Beats Pill+ speaker for $129.95, which is $50 off Apple's regular price of $179.95. In-store only. Sam's Club has the Braven STRYDE 360 waterproof speaker for $39.88, down from $79.88 regularly. Disclosure: MacRumors is an affiliate partner with some of these vendors. When you click a link and make a purchase, we may receive a commission, which helps us keep the site running.